South wing of AGO overlooking the beautiful Grange Park. The AGO’s collection includes more than 80,000 works, and with over 45,000 square metres of exhibiting space, it is one of the largest galleries in North America, with the biggest collection of Canadian art. The beautiful historic Georgian manor, The Grange (built in 1817), became property of the Art Museum of Toronto in 1911, respecting the wishes of Harriet E.M. Boulton Smith, who donated the building to the society. Before that, the museum lacked a proper venue for its permanent exhibitions, and occasionally used the Toronto Reference Library or OSA instead. But much has changed over the years, and the gallery has undergone a significant transformation. The most recent changes were made as a part of the redevelopment called Transformation AGO in 2004. This project had a massive budget of $276 million and commissioned the Toronto-born architect Frank Gehry. 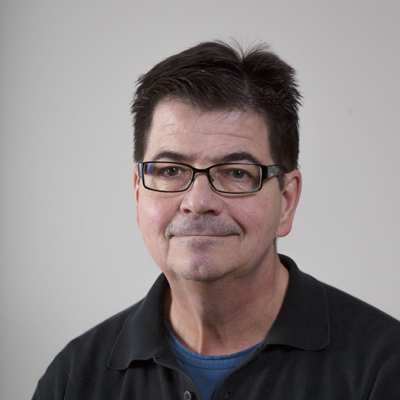 An interesting fact is that he used to live in the very same neighbourhood as a child. Being one of the most influential architects in the world, it’s surprising that this was his first project back in Canada. His job was to redesign the existing six expansions of the gallery. 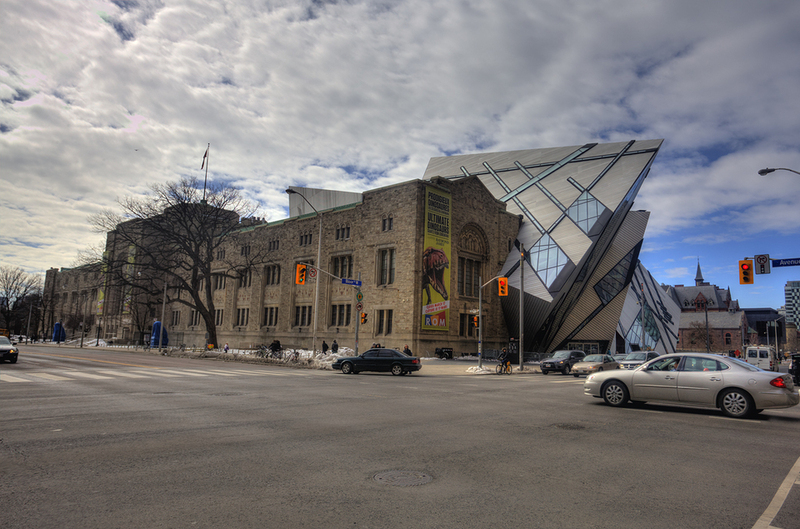 The project turned out really well and transformed the AGO into one of the most popular landmarks in Toronto. 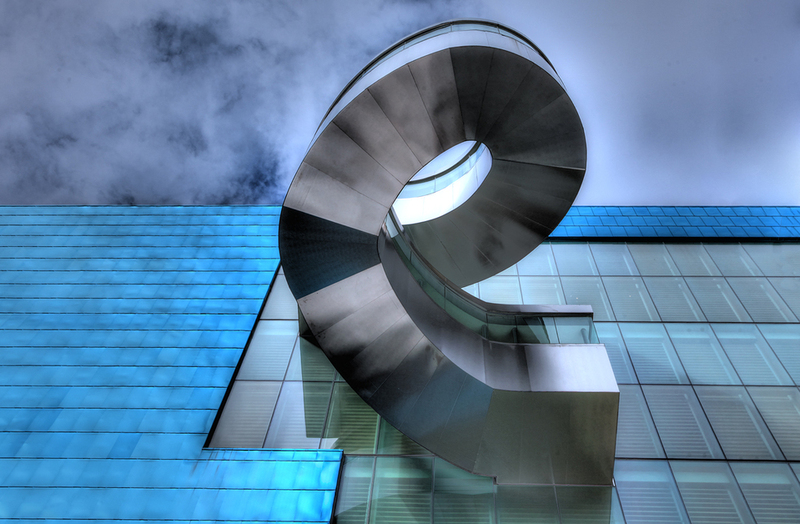 Have a look at his signature spiral stairwell in Walker Court, walk along the 180-metre-long glass and wooden façade Galleria Italia, or visit the new titanium and glass south wing overlooking the beautiful Grange Park. The Royal Ontario Museum is Canada’s largest museum of world culture and natural history and is located north of Queen’s Park. Founded in 1912, the museum used to be under the management of the University of Toronto, and it still maintains close relations with the university today, often sharing expertise and resources. The east-facing façade of the Royal Ontario Museum was the first expansion, built in 1933. The second major addition to the museum was the Queen Elizabeth II Terrace Galleries on the north side of the building, completed in 1984. The campaign of the most recent renovations that began in 2002 aimed to raise visitor attendance and support further research. The centrepiece of the whole project, the Michael Lee-Chin Crystal (or just “The Crystal”), changed the street-scape in this neighbourhood once and for all. The breathtaking crystalline structure looks like it has just fallen from the sky and landed among the historic buildings of Bloor Street! Created by the famous architect Daniel Libeskind, this impressive new entrance to the museum is made of 25 per cent glass and 75 per cent aluminium set into a steel frame. Inside, you’ll find seven new galleries, a gift shop, the C5 restaurant lounge, and a cafeteria. 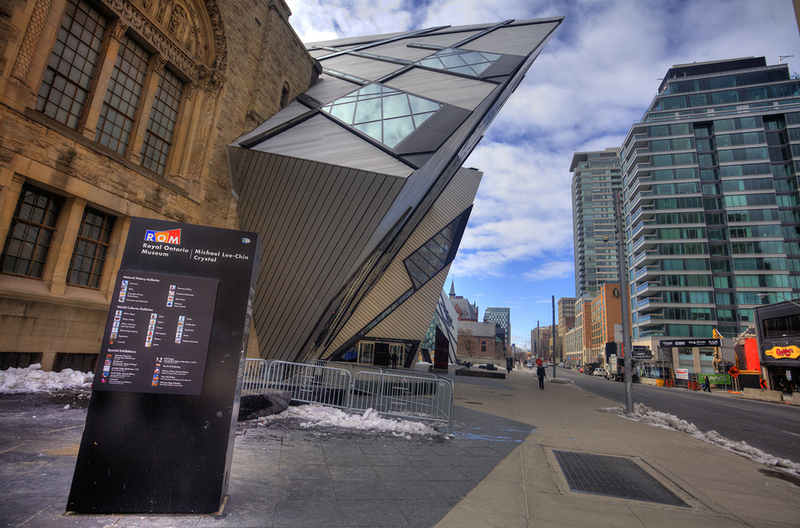 The Crystal definitely is among the Top 10 tourist attractions in Toronto! Massey Hall and Roy Thomson Hall are two of Canada’s most renowned concert halls. The latter, opened in 1982, is located in the heart of King Street’s theatre district and is home to the Toronto Symphony Orchestra and the Toronto Mendelssohn Choir. The authors of the stunning circular design with its curvilinear glass exterior were Canadian architects Arthur Erickson and Mathers and Haldenby. Its new glass canopy is reflective by day and transparent by night. Before the major reconstruction in 2002, the hall was known as New Massey Hall. Since the family of Roy Thompson generously funded this project, the concert hall was renamed after them. The construction took six months, and when it was finished, the city received another architectural masterpiece and the musicians could no longer complain about the quality of its acoustics. Each year, Roy Thompson Hall becomes a premier venue for the Toronto International Film Festival (TIFF) and hosts many of its lush gala screenings. 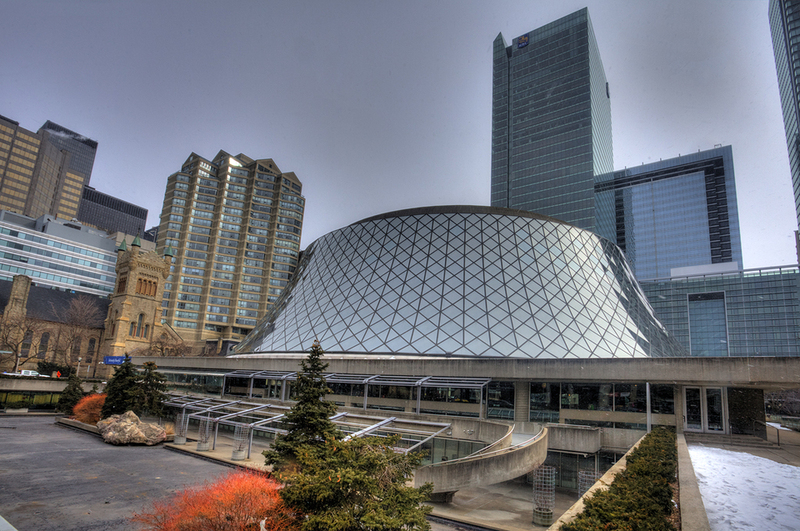 Roy Thomson Hall has also been awarded the BOMA BESt certification for 2011–2014, which recognizes environmentally friendly buildings. This public university, opened in 1876, is Canada’s largest and oldest educational institution for art and design, offering courses in the Faculties of Art, Design, Liberal Arts, and Sciences. 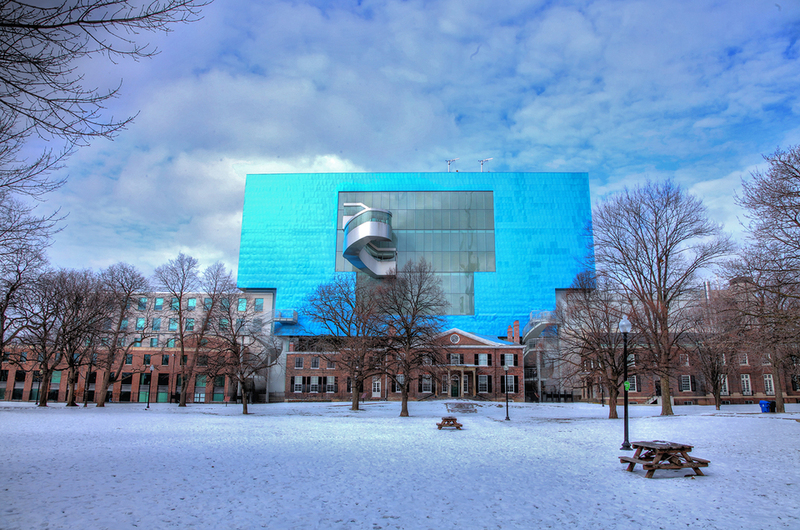 It has changed its name many times throughout the course of its history from the original Ontario School of Art (1876–1886) to Toronto Art School (1886–1890) to today’s common moniker OCAD. 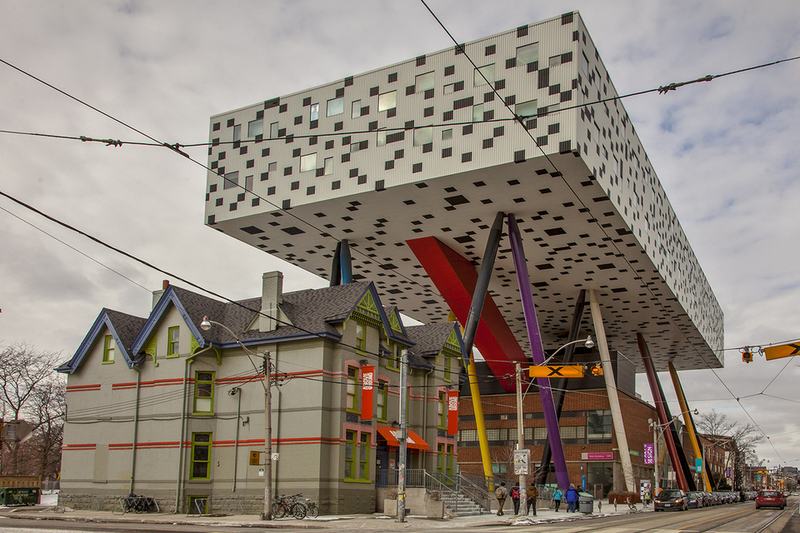 The OCAD campus is quite large, and its buildings and pavilions spread over many city blocks. Probably the best known of them all is the oddly shaped Sharp Centre for Design. It is located right next to the Art Gallery of Ontario, overlooking Grange Park. This new $42.5 million expansion was completed in 2004 and designed by the British architect Will Alsop. Often described as a table, its large box-shaped structure is supported by colourful pillars set at different angles. The design received many awards — you’re looking at the most outstanding technical project of the 2005 Canadian Consulting Engineering Awards, and it has been awarded the Royal Institute of British Architects Worldwide Award. When you go to the corner of Wellington and John streets, you can’t miss this grand 27-storey postmodern office tower that was completed in 1992. It is part of the three-tower Metro Centre complex that overlooks Pecault Square. The lower level of the main building contains amenities such as a community centre and library. 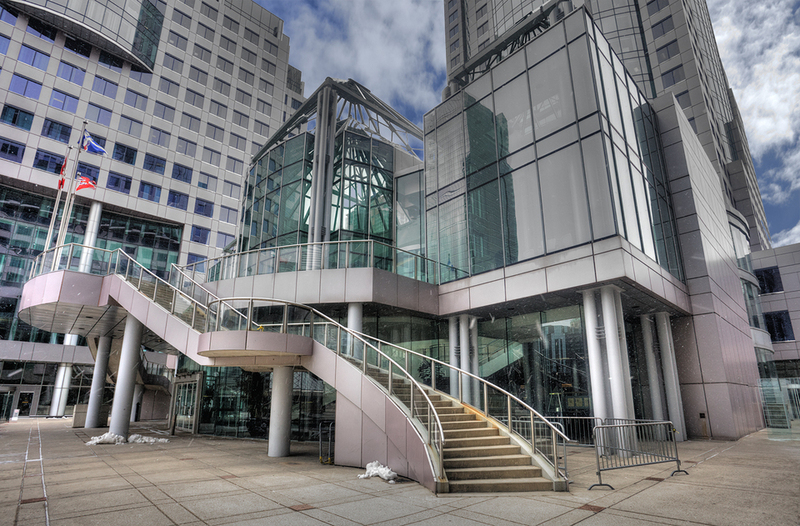 The costly construction of Metro Hall started in 1988, when plans for a new building housing Metro Toronto offices emerged. 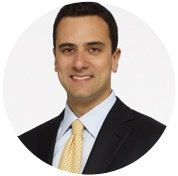 The project did not go without controversy, and many criticized its staggering cost of $211 million. When the Metro level of government was merged with the city governments in 1998, the offices were moved to Toronto’s iconic New City Hall. The once-busy council chamber was left empty. It was used as a homeless shelter in 1999 and later was converted to the 3-1-1 call centre that it remains today. 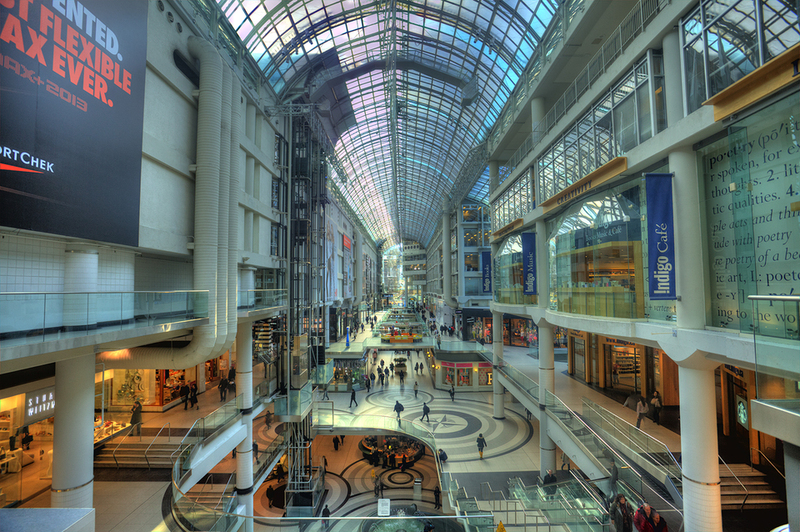 Proudly presented as the largest shopping mall in downtown Toronto, the Eaton Centre is a must when visiting the city. One of the top tourist attractions, thousands of visitors browse its many stores every week! The mall was opened in 1977 and named after the country’s largest store chain of the 20th century, the Eaton’s department store chain. Timothy Eaton was a clever business mogul who turned one dry goods store into a large store chain, a true Canadian success story! In the 1960s, Eaton introduced plans for building a massive office and shopping complex that would occupy several city blocks, which caused a lot of controversy. The plans included the demolition of several important landmarks, such as Old City Hall. Eaton was forced to rethink his original ideas and after some changes were arranged, construction finally began. The complex was designed by Eberhard Zeidler and Bregman + Hamann Architects and features many levels under a beautiful, vaulted glass ceiling galleria. This design influenced shopping centre architecture throughout North America. The five floors of the shopping centre offer more than 148,000 square metres of retail space and the most exclusive brands — a true haven for everyone who loves to shop. 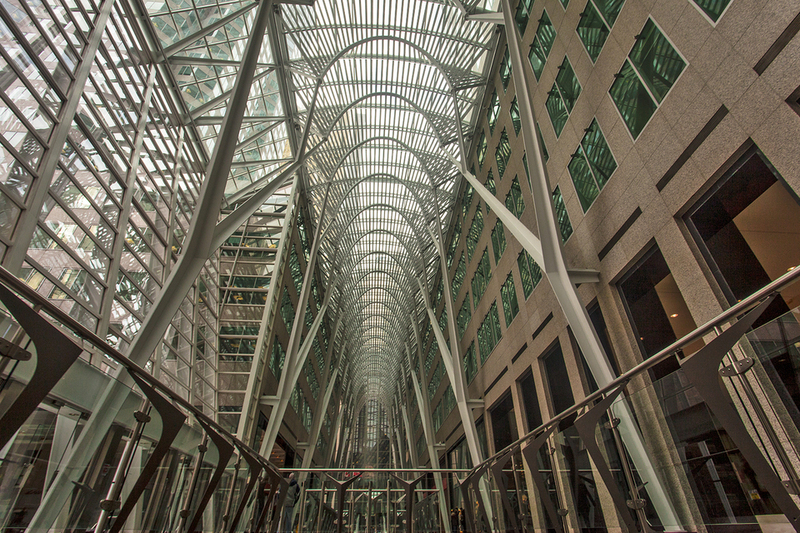 Brookfield Place is an office complex in downtown Toronto that is made up of two tall office towers (the Bay Wellington Tower and TD Canada Trust Tower) that are linked by the six-storey Allen Lambert Galleria. The galleria, built in 1992, belongs among the most impressive pieces of modern architecture in Toronto. The “Crystal Cathedral of Commerce” was designed by the renowned Spanish architect Santiago Calatrava and provides a sheltered tunnel for pedestrians. Eight freestanding supports form the parabolic shapes that evoke a forest canopy. The old meets the new here — façades of eleven heritage buildings dating back to 1870 on Yonge and Wellington Streets were skillfully restored and now line the sides of the galleria. Embraced by natural light coming through louvres on top of vaults, it is a frequently photographed space that is also often featured as the backdrop for news reports. 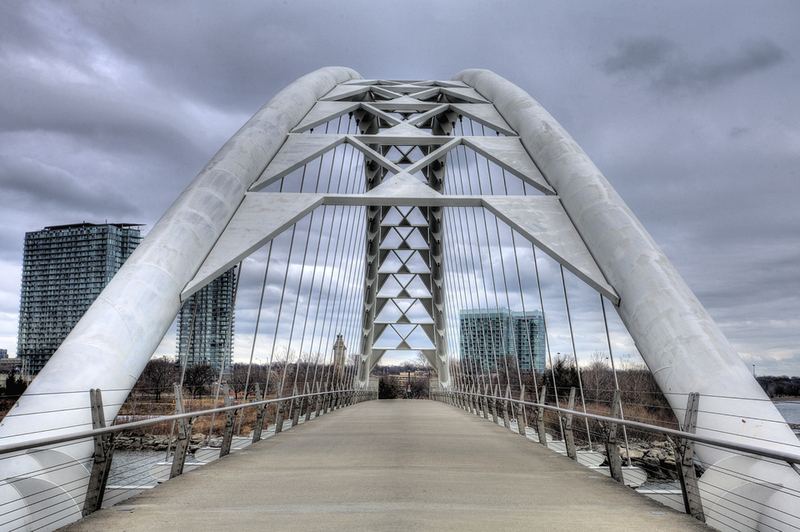 The Humber Bay Arch Bridge (also known as the Humber River Pedestrian Bridge or the Gateway Bridge) is a 139-metre-long pedestrian and bicycle bridge that connects the municipalities of “Old Toronto” and Etobicoke. It was designed by Montgomery and Sisam Architects in 1994 and follows the Native trading route along the shores of Ontario. So when you spot interesting decorations such as carved turtles or canoes, think about the rich Native heritage of Canada! 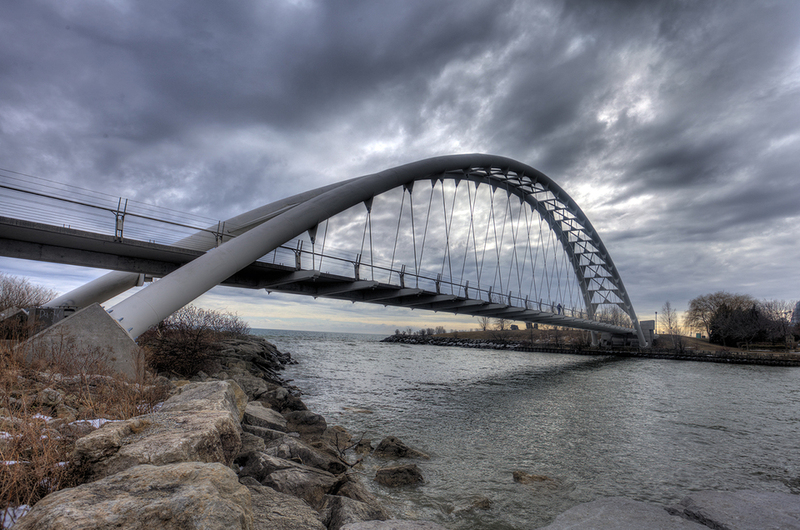 The bridge is part of Ontario’s Waterfront Trail, a recreation trail frequented by many people. Its Toronto section, the Martin Goodman Trail, is one of the most popular pedestrian and cycling destinations in the city. Do you have some more tips about modern architectural landmarks in and around Toronto? Leave us a hint in the comments below. I am visiting YYZ in early Sept., for the first time, very interested in modern architecture. Can one see some majors in only 2 days! I am visiting friends on Yonge St.?any best choices? Also, can you visit the lake shore?? I livi on NJ, formerly of NY Finger Lakes.